PowerPoint slides sometimes need to be saved in the form of images. This might be the case when you may be looking to extract content like maps, charts, diagrams, photos, etc. By converting PowerPoint slides to image format, you can also use them across other projects such as a blog post, research paper, official document and the like. 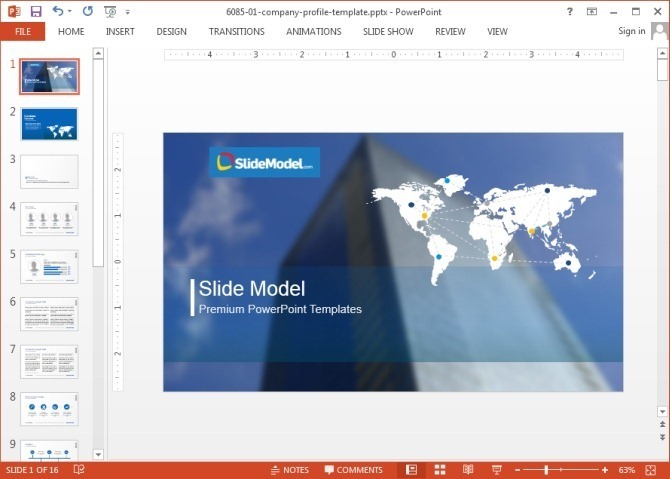 In this post we will show you How To Save a PowerPoint Slide as a Picture. For the purpose of this post, we will be using the Company Profile PowerPoint Template, where we have customized the slide with the SlideModel logo, title and sub-title. Step 1: To save your slide(s) to image format, go to File-> Save As. 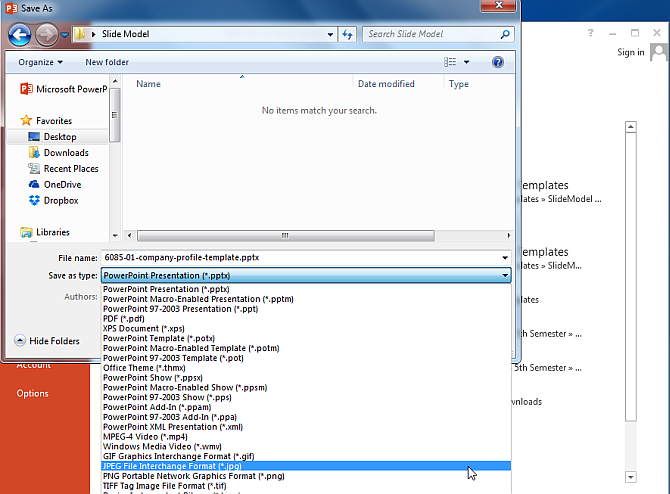 Step 2: You will be provided the option to pick a destination for your file. 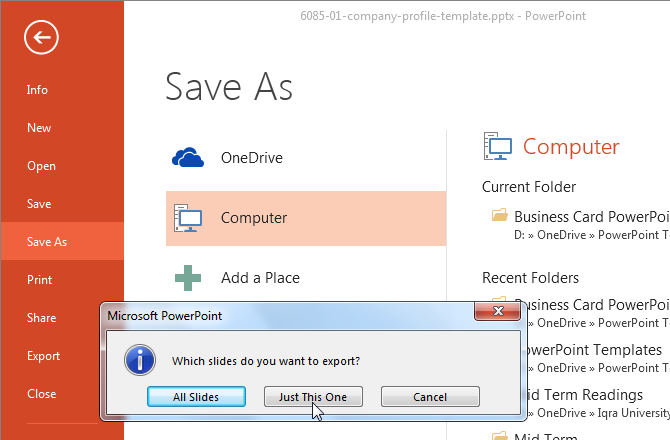 If you are using PowerPoint 2013, you can choose to not only save your image to your computer but also to your OneDrive account. Step 3: In the next step, choose an image format from the dialog box that pops-up. The most common image format you can pick is JPEG, however, you can also choose to save your slide in other image formats like PNG, TIFF or GIF. To save your image file, click Save to continue. Step 4: in the prompt that follows, you can choose to either save the current slide as an image or save all slides in the presentation to your preferred image format. The below screenshot shows a PowerPoint slide in JPEG image format. Needless to say, you can view and edit the converted images using a picture viewer and image manipulation tool. 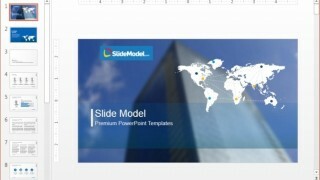 SlideModel provides a range of Premium PowerPoint Templates which come with editable slide objects and layouts which don’t lose quality when slides are converted to image or video formats using PowerPoint. For more details, see plans and pricing.